Boruto: Naruto the Movie quickly approaches its premier in Japanese theater, while opening up to new characters, new missions and new stories. We also preview the enemies that will go up against Naruto, Boruto and the rest of the village. Momoshiki and Kinoshiki are members of the Otsutsuki clan, like Kaguya and Hagoromo, who aim to steal Kurama away from Naruto. 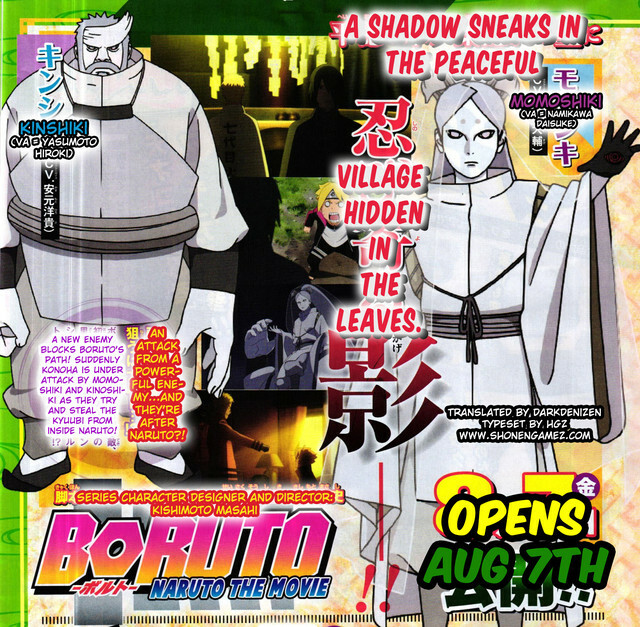 The village hidden in the leaf see’s two shadows sneak into the peaceful leaf village as they block Boruto’s path in order to attack the village and steal Kurama which is inside Naruto. 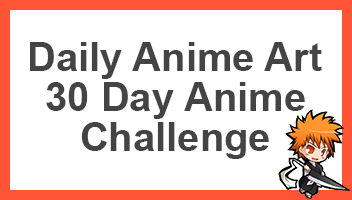 As we already know, the series character design and direction has been done by Kishimoto Masashi himself. The film is scheduled to open in Japanese theaters on the 7th of August. If you’re going to watch it, that’ll be awesome, if you’ll wait for it online, then you’re on the same boat as me. Go ahead and comment down below telling us how you feel about these new enemies which Boruto, Naruto and the rest of the village will face. If “The Last” lacks some of the emotional punch of the previous feature, “The Road to Ninja,” Kobayashi compensates with flamboyant visuals that mix CG, drawn animation and elegant calligraphic figures.